having the $25 Application Fee(s) paid. we will ask for the landlord's name and phone number. that your previous landlords have received from you. 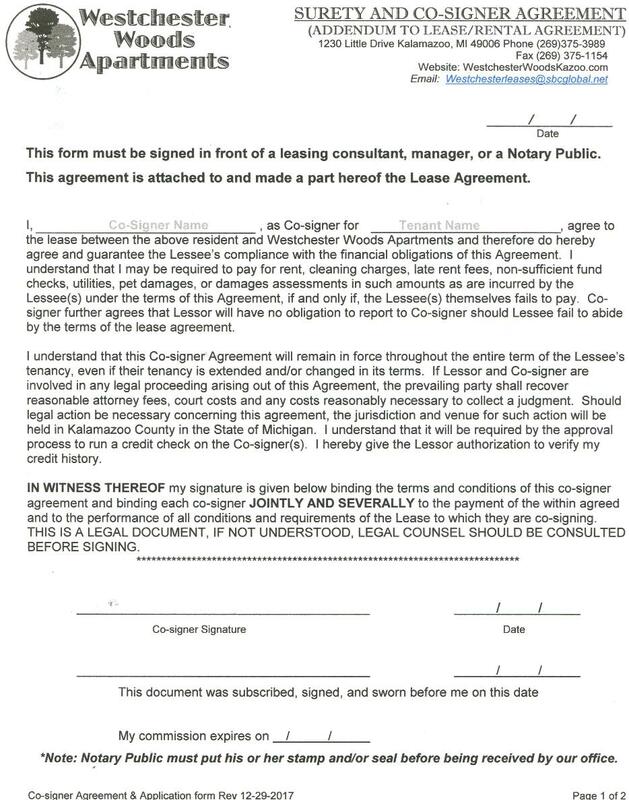 verification (copies of these documents provided will be made and maintained in your lease file). qualified co-signers to help with residency qualification. 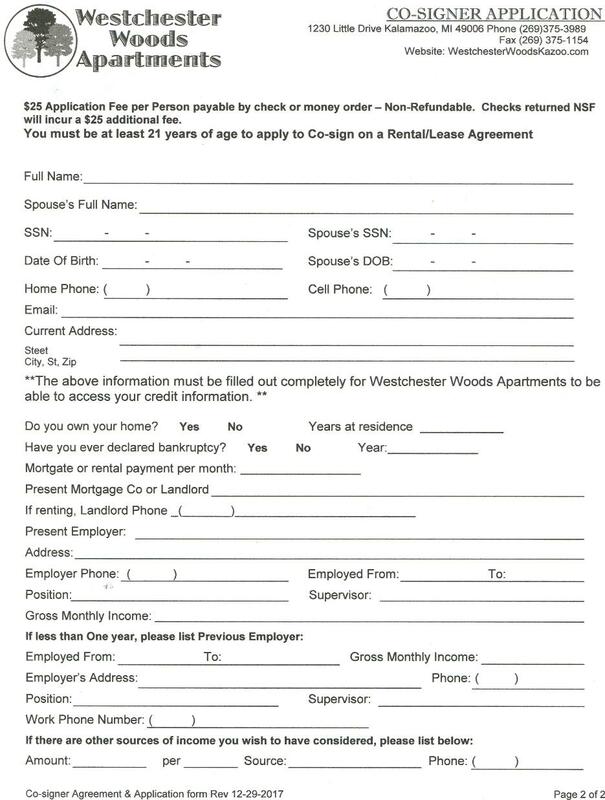 Co-Signer will be required (Co-Signer Form below).